Cheesiest: Only four ingredients...chicken breasts, bacon, brown sugar, chili powder. Bake at 350. 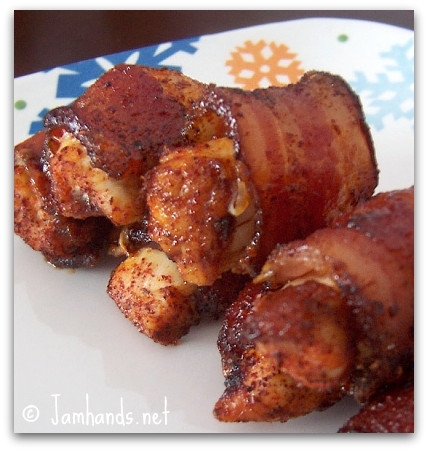 Only four ingredients...chicken breasts, bacon, brown sugar, chili powder. Bake at 350.